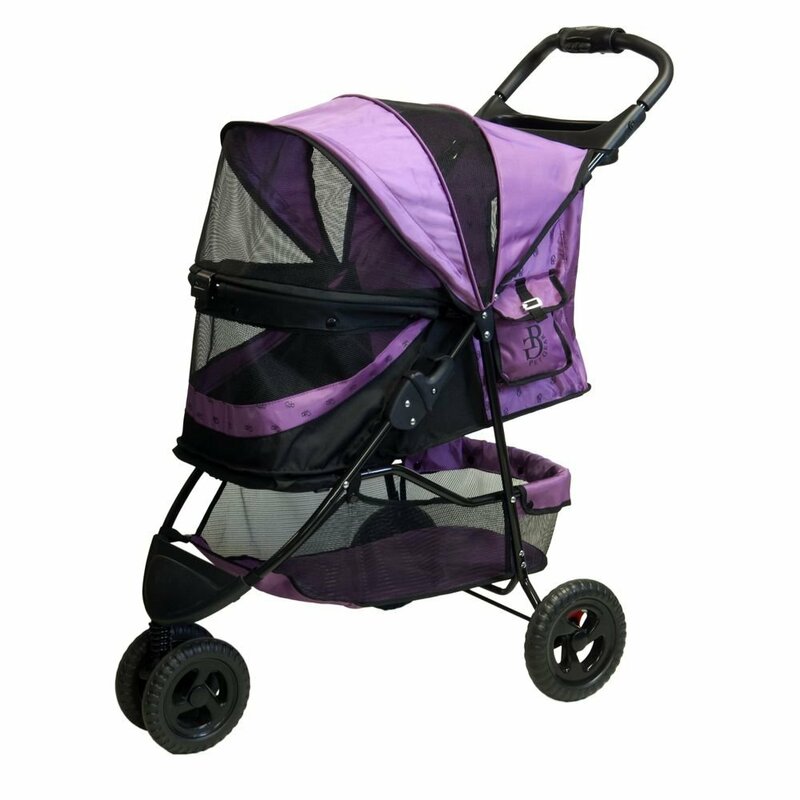 What's the best things about this no-zip pet stroller? The perk of not having any zippers to fumble with when opening and closing the stroller. 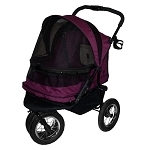 Completely hassle-free with easy access to your pet! 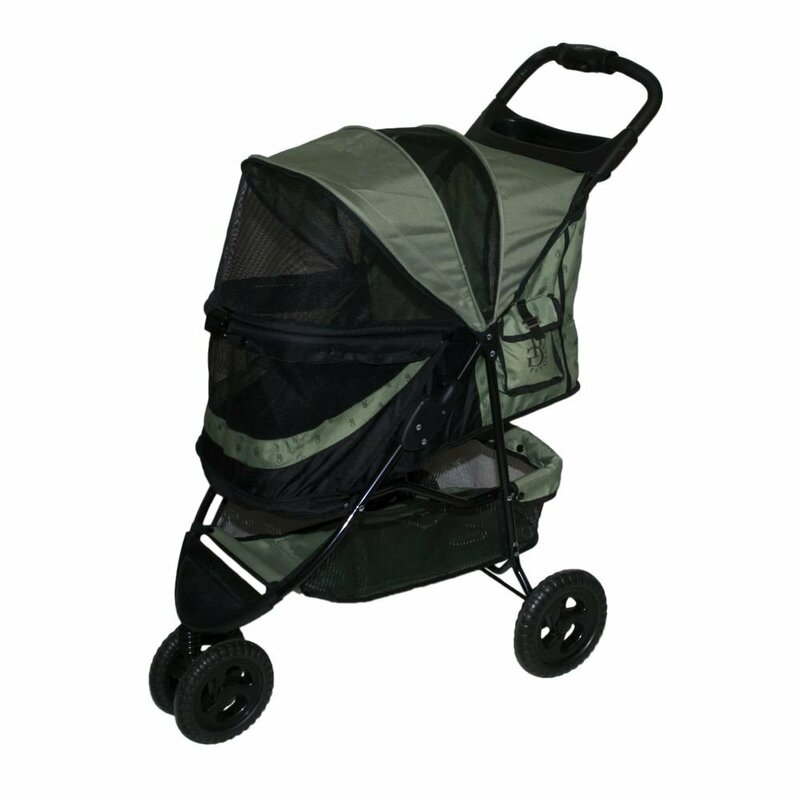 And setting up/breaking down the stroller for travel? Not a problem! 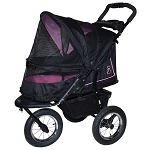 The stroller is designed with convenience in mind. 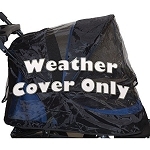 It’s easy one-hand folding mechanism makes traveling with your pup a breeze. 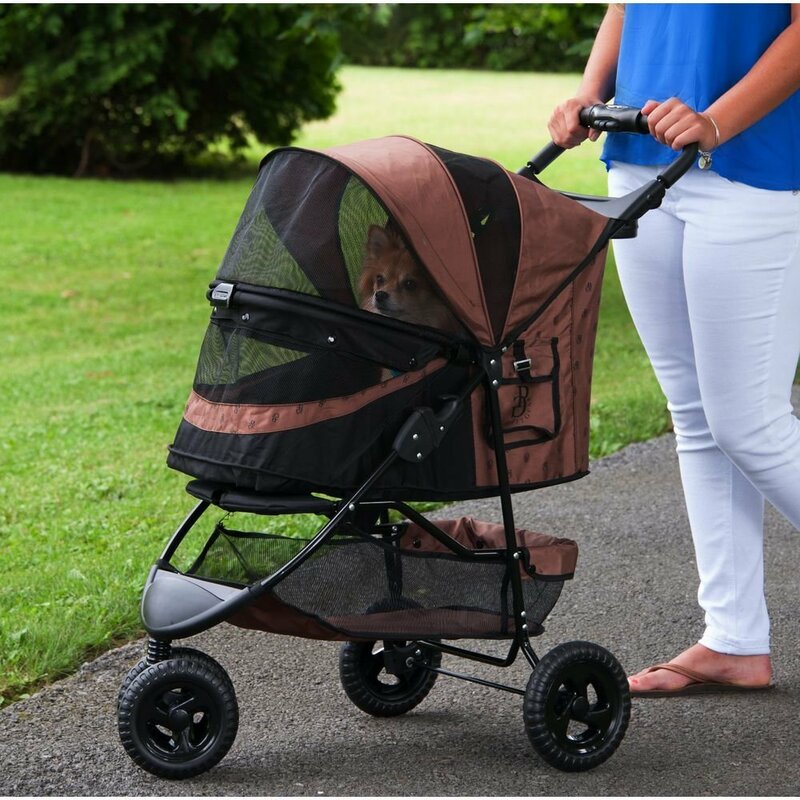 This stroller also features an elevated paw rest so your pup can easily look out at the beautiful world passing by. Your dog wants to be part of the great outdoors, so the panoramic view window provides your pet with the best safety and security without sacrificing the sights as the two of you stroll along. 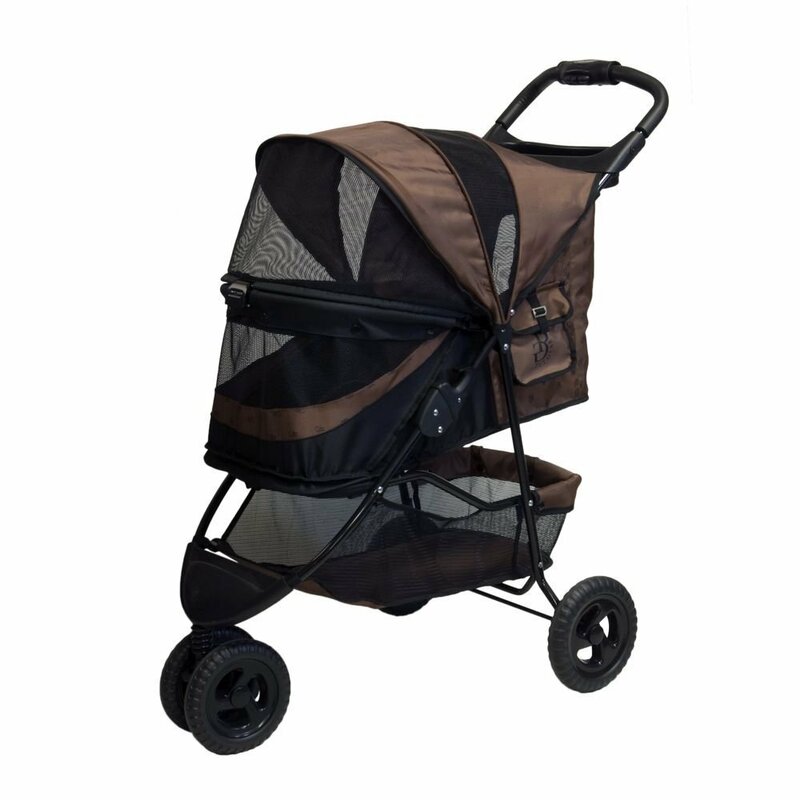 The shock absorbers in this stroller will make your dog feel like she's floating on a cloud and the reversible fleece pad will remind her of her cozy bed at home. 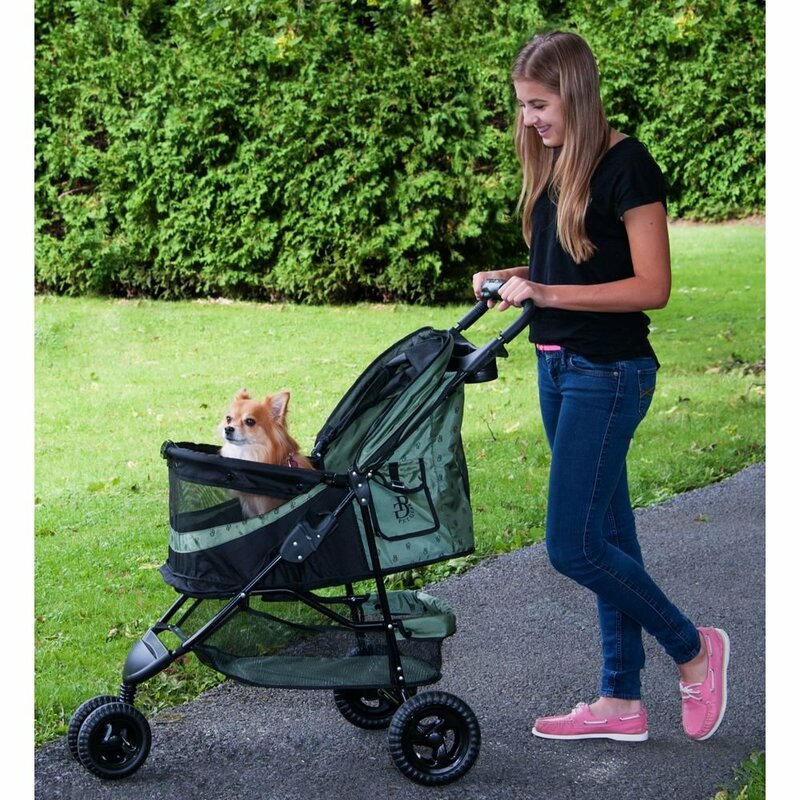 Your dog is your baby - we completely understand! 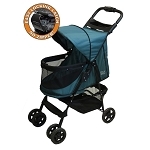 Which is why this stroller features a top window for you to easily view her whenever you'd like so you can keep an eye on how she’s enjoying the ride. The water resistant material allows you to travel in any weather conditions without worry, and the parent tray is perfect for organizing your keys, drink, or anything else you need to bring along.